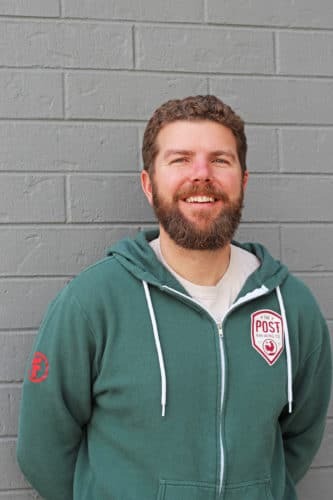 People | Boulder, Colorado | The Post Brewing Co.
A native of Wappingers Falls, New York, Smitty first came to Colorado to ski—but he stayed to cook! He worked his way up the ranks of Jax Fish House and Zolo Southwestern Grill in Boulder and then spent four years as the Executive Chef of Zozo’s Restaurant on Saint John in the U.S. Virgin Islands. When he came back home to Colorado he took the reins at Zolo once again and in 2014 teamed up with Dave Query and Bryan Selders to open The Post Brewing Company in Lafayette. When he’s not behind the burners of The Post, Smitty enjoys swimming, hiking, and grilling with his wife and kids. He also started a benefit for the Autism Society of Boulder County, called The Jack Ferrigno Send a Kid to Camp Grant, which raises money every year to send area kids in need to summer camp.